When it's used in-game as a vehicle, it had better play the music we're expecting it to play. I have a feeling the game designers won't let us down. 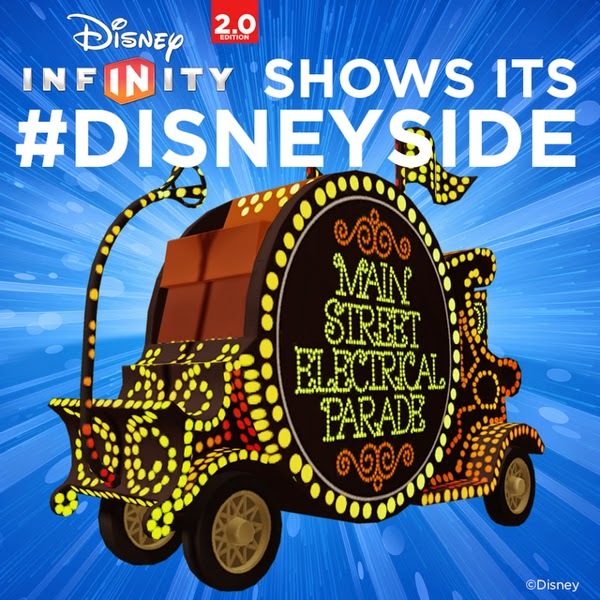 I'm a huge fan of the original Disney Infinity, but I love the game for the classic Disney elements, not the upcoming 2.0 Marvel infusion. Besides the impressive improvements to 2.0's Toybox mode, this float is the first announced new game feature to really make me smile. Well...this and Donald Duck as a playable character. 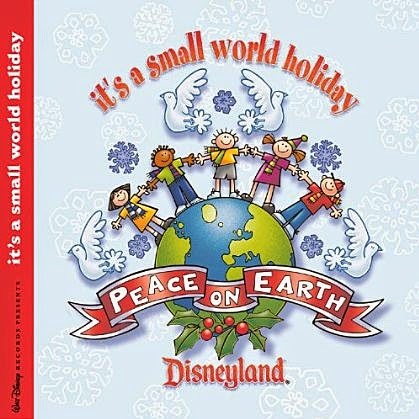 Two recent digital releases on iTunes and Amazon MP3 give Disney music collectors a reason to rejoice--even if the timing on our first recommendation seems a bit...out of season. 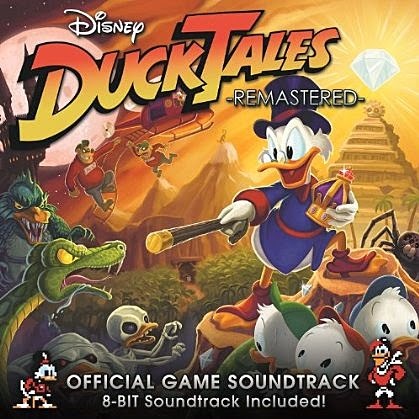 First, a word about the game: If you're a fan of Scrooge McDuck, great games or both, Ducktales Remastered (available for download on just about every recent game console) is a wonderful, beautifully crafted adventure you shouldn't miss. Based on the popular 1989 Nintendo game (in turn based on the TV series), it's been reborn with stunning animation, the show's original voice cast and a fantastic reworking of its legendary score. Now, on to the album: From the high-energy rendition of the opening theme to the haunting piano rendition of the game's Moon track, this album is a fantastic audio ride, and it includes the original 8-bit renditions of the score to boot! Forty-seven tracks for $9.99 -- Highly recommended. Celebrate Christmas in May...in Duckberg! Happy listening! 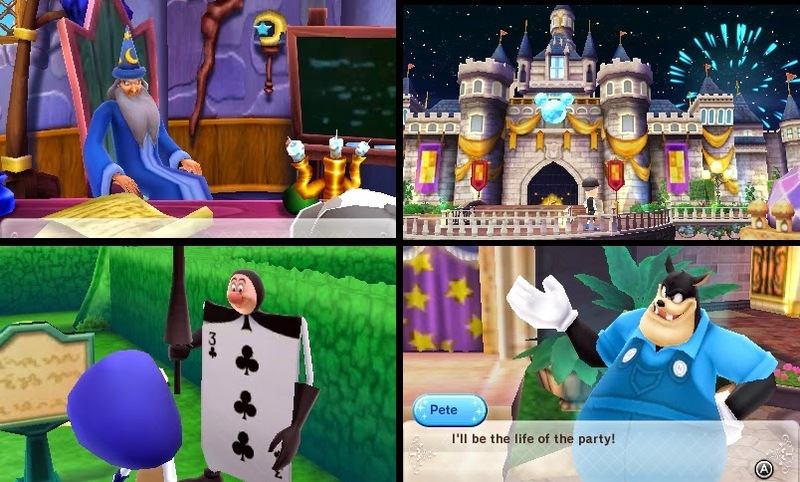 What a great surprise: Disney Magical World, against all reasonable expectations for a licensed handheld title, has turned out to be one of the most enjoyable games ever to carry the Disney name. 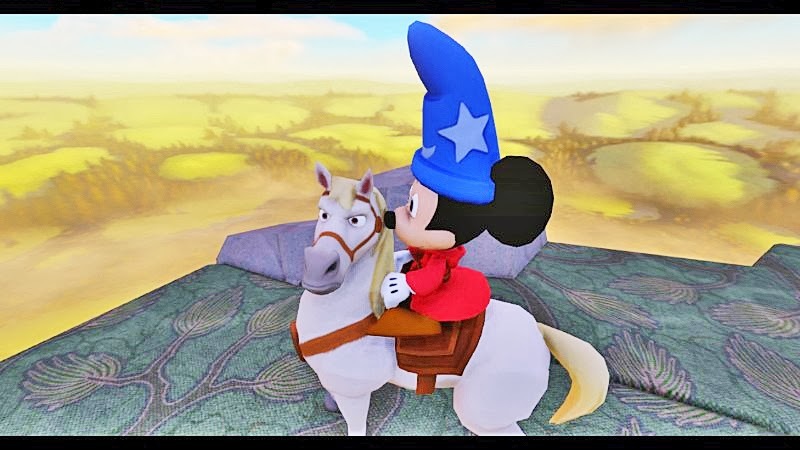 In this deceptively simple-looking game, you create an avatar (you can also use any Mii character saved to your 3DS) and move into the Disney-character-filled town of Castleton, where Fantasia sorcerer Yen Sid takes you under his wing as apprentice magician. The King, meanwhile, entrusts you with ownership of the town Cafe. All seems rosy, except for one nagging problem: The lands outside your village are plagued by ghost attacks--and you're the only candidate for hero (apparently, Prince Charming and Beast are too busy planning banquets and balls to lend a hand). 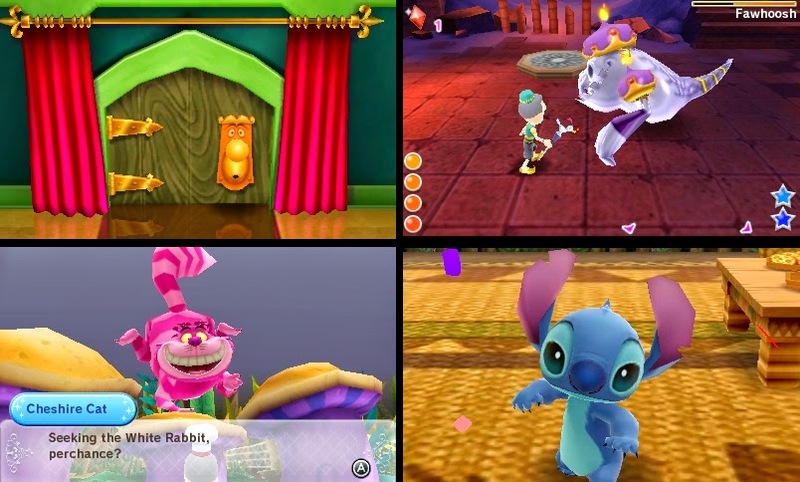 It’s a breezy, fast-paced fusion of Kingdom Hearts and Animal Crossing where you juggle ghost hunting (the quests become very challenging as the game progresses), card collecting, fishing, item crafting, farming, rhythm-game ballroom dancing and cafe management (which is a lot more fun than it sounds). The tasks are fun and, most importantly, it all works together perfectly. 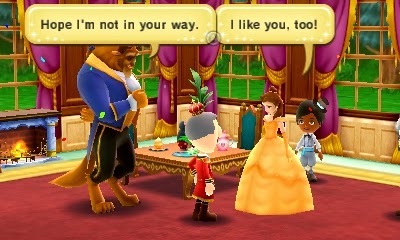 After a very linear prologue section, the game opens up and leaves you to spend your sessions however you please, whether it's just kicking back in Castleton, helping the gentle citizens of the 100 Acre Wood or battling ghosts in Agrabah, Wonderland and the dark woods around Cinderella's palace. Eventually, you'll also unlock the card-trading mini-game--by far the game's most addictive activity. There are 300 cards to collect in the game. The celebrity citizens will offer you cards themed to their franchise, but most cards can only be won through trading with the Royal Chancellor. 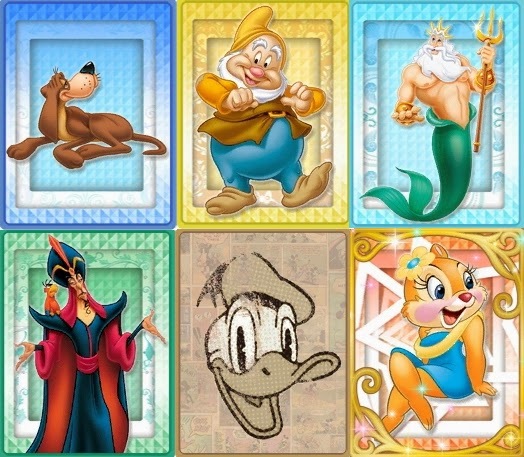 So, in the game's early stages, don't be dismayed by all the duplicate Fab Five and Huey/Dewey/Louie cards you'll accumulate; You'll need those extra cards for trading later on. 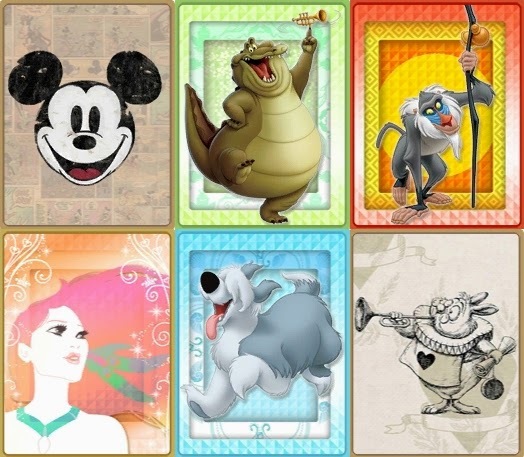 The cards cover just about every era in Disney animation and use a variety of art styles. “Vintage” cards appear to be damaged from years of handling, and many obscure characters made the cut, including Clarice (lower right). The game also features online cafe-sharing and scan-able AR cards on the website that send Tinkerbell flying into your 3DS bearing gifts. A download feature gives you access to a small online shop where additional items can be bought (the shop also features free items). If you dislike the whole idea of paying for extra content, the feature can be easily ignored, though an additional world (rumored to be pirate-themed) might be offered in the near future. Taken as a whole, Disney Magical World delivers an incredible amount of entertainment and content. 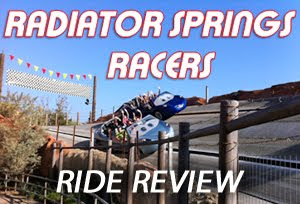 It's packed with excellent character animation, fun music (though, surprisingly, not a single classic Disney tune) and an unexpectedly keen attention to detail and company history. 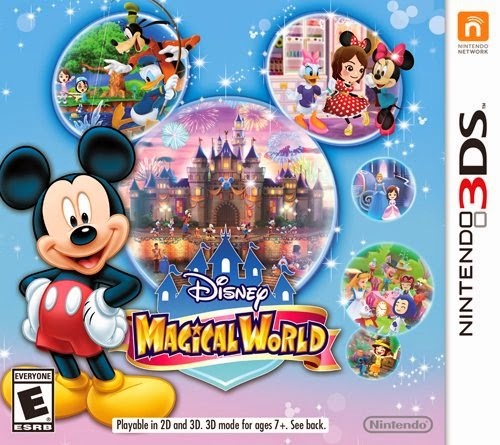 If you’re a 3DS-owning Disney fan, you can’t go wrong with this one. 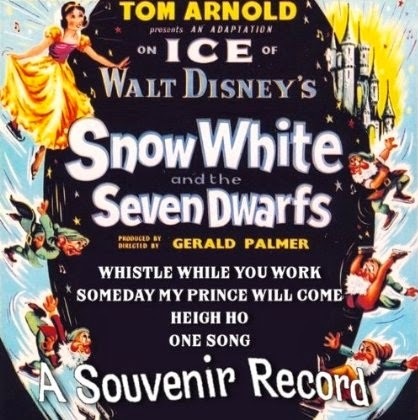 Tom Arnold Presents an Adaptation on Ice of of Walt Disney's Snow White and the Seven Dwarfs. No, it's not the American Tom Arnold, it's the British theatrical producer Tom Arnold. The four songs on this 1960 $3.99 souvenir record are pleasant covers--exactly what you might expect to hear at an ice show. Give it a sample listen: You might like what you hear. Here's a nice surprise for Disney soundtrack collectors: An album of music from Disney's Aulani Resort in Hawaii arrives in about two weeks, according to Amazon. 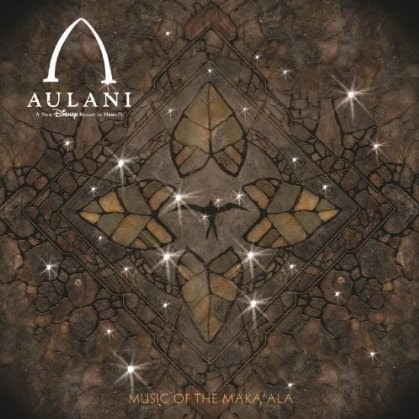 Due March 18, Aulani: Music of the Maka'ala features tracks by singer/songwriter Keali'i Reichel and film composer Mark Mancina. Can't wait to give this a listen. 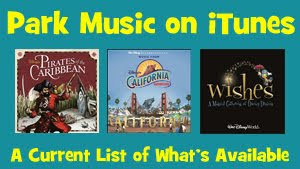 A Hawaii vacation is plum out of my budget considerations, but I'm always in the mood for a virtual getaway on my music player! 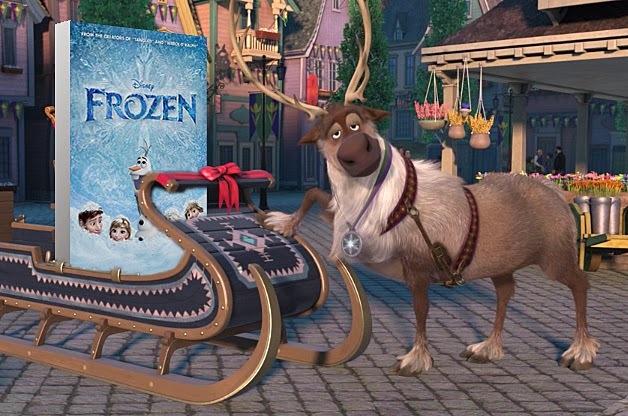 Frozen is now available for purchase and download on iTunes, two weeks ahead of its release on DVD and Blu-ray. Disney chose this day to also announce the arrival of their new Disney App, Disney Movies Everywhere. The app allows movie fans to purchase Disney films on iTunes, plus register qualifying films for instant streaming across multiple devices. 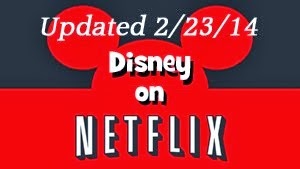 The idea is for fans to be able to access their entire library of purchased Disney films at any time and stream them to the computer, iPhone or iPad of their choice -- Sort of like a personal Netflix service, but free and composed solely of purchased content. As an incentive, Disney is offering The Incredibles as a free gift for signing up. One can only hope that this eventually leads to a true opening of the Disney vault. 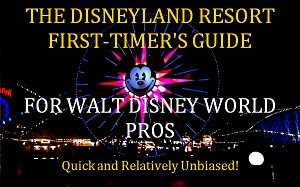 If those thousands of hours of classic Disney films and television episodes that haven't seen the light of day in decades can finally be purchased and accessed, this would be a fan's dream come true. 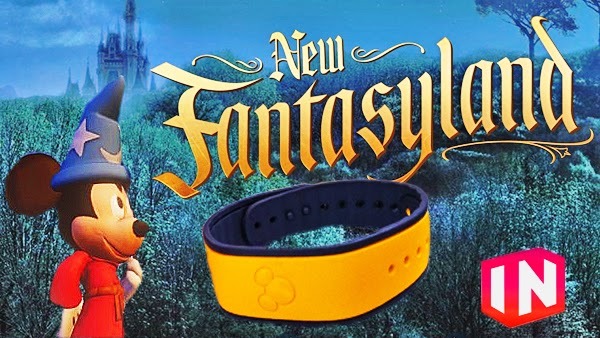 Attention Walt Disney World vacationers: Don't throw away those MagicBands! You or a game-loving friend can use them to unlock a world of Dragons hidden within Disney's popular videogame universe. 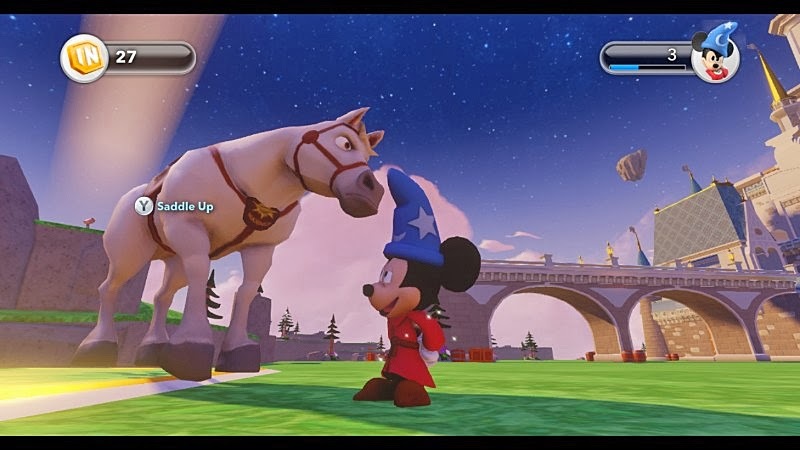 Disney Infinity remains one of the most creative and joyful games my family and I have ever played. It's made Disney's accountants happy, too. 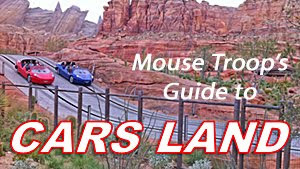 When the game debuted, featuring such park icons as Spaceship Earth, the Matterhorn, Parking Lot Trams and flying Dumbos, many fans wondered if the actual, physical parks would ever play a role in providing exclusive content. It didn't take long to find out: WDW's MagicBands unlock Infinity's hidden world--one based around the New Fantasyland Dragon that graced Orlando skies for a press event a while back. With no Florida trip in my immediate future, this West-Coaster faced a Dragon-less Infinity until Melissa Sue at Mouse on the Mind came to my rescue by sending me a MagicBand! 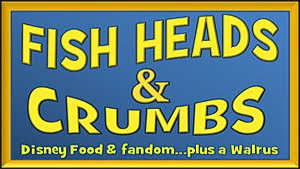 It can't be said enough: Disney fans are the nicest people on the planet. Thanks, Melissa!!!! 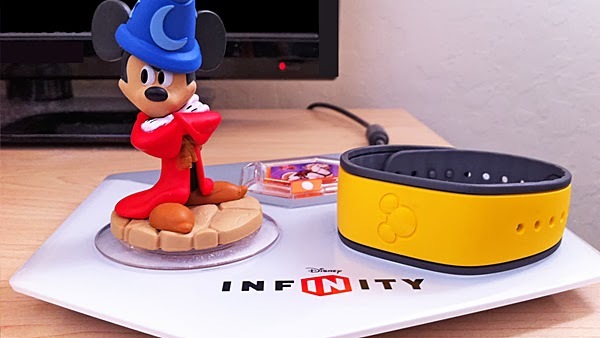 If you're still wondering what the heck Disney Infinity actually is, please check out our review. In a nutshell, however, it's amazing. 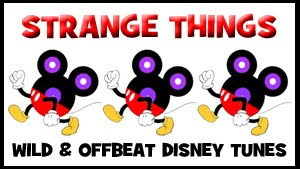 It excels at three particular things: 1) Encouraging creativity 2) Pouring on the Disney charm 3) Emptying your wallet, but giving you your money's worth -- much like a Disney vacation.